I love this house! But it's hard to access. I don't know if its another mod, but the stairs have a stick in the way and half a wall in front of the door. I have Rebirth and Overhaul. I have used this on of off since I've discovered it. It's a lovely home, and very functional. I'm downloading it again. Thanks for all the enjoyment I've received from playing this mod. A very nice house mod, I particularly like your rather terraced exterior design going up the mountain, very picturesque. 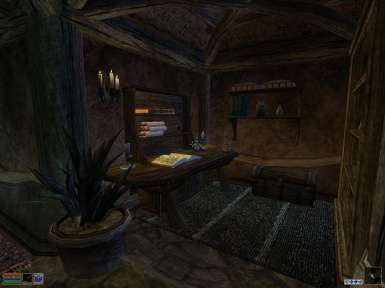 The interior is quite nice as well, with plenty of furnishings and space for storing and displaying loot, and the custom furniture was a nice touch. There are, however, two problems I noticed with this mod. One is rather trivial, and involves the smoke effect coming from the chimney. As you can see by this screenshot, that little pink block is clearly visible to the player. This is a bit of an immersion breaker, and you should hide the smoke effect like in this screenshot. Of course, the smoke will still rise through the little roof thing, but there's no avoiding that. The second problem deals with the interior lighting in this mod, as I noticed the interior was set to near default lighting (see this screenshot). This kinda ruins the atmosphere a bit, as the lighting is essential for making a home feel unique instead of bland, and so I would recommend tweaking the lighting settings under World->Interior Cell to something a bit different, like in this screenshot. Obviously you don't have to use those numbers, I just went with a more brown palette because it brings out a more "cozy" lighting effect. The two important categories there are Ambiance and Sunlight, Fog adds a little to the atmosphere but isn't that important. Now, as you can see in this screenshot, the result of the changed lighting should be rather apparent. The house looks more atmospheric, with a sort of warmth being projected from the dining room and the nice blue flickering of the candle being strongly pronounced. It is somewhat ruined still by a rather bright light coming from the study/display room though, so you might want to change that. 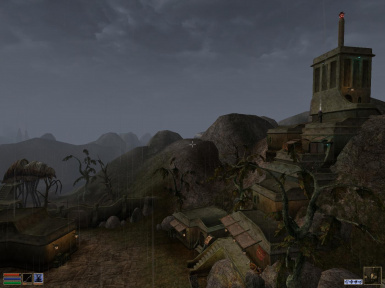 Of course, these are just suggestions for improvement, the house mod itself is pretty good already, especially if this is your first Morrowind mod! 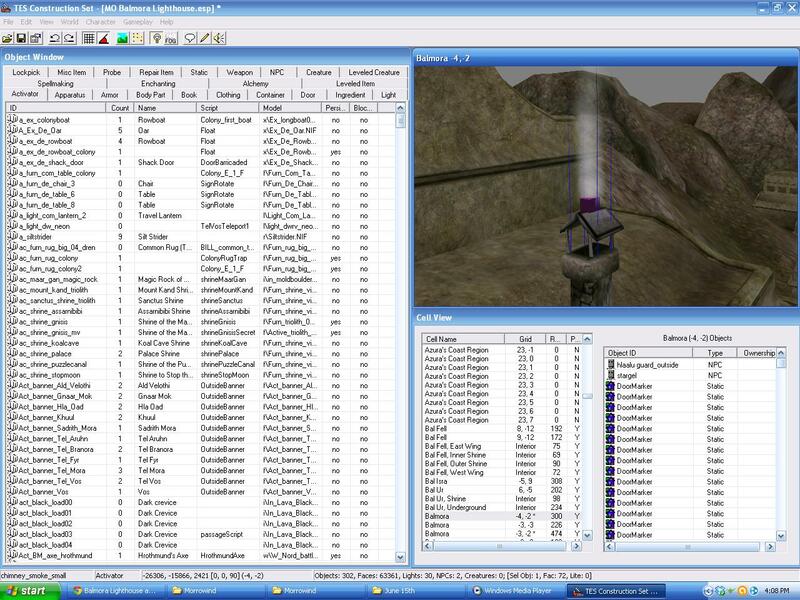 Hopefully you'll continue making more mods, we always need more modders in the Morrwind community! Also, just as a side note, I should mention you may want to be careful with landscaping. 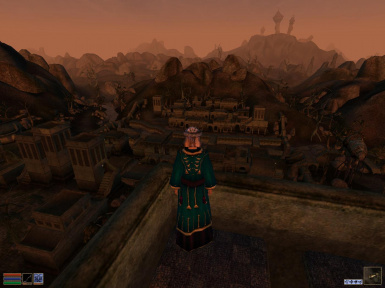 I noticed you did a fair amount of tweaking to the terrain around the house, which in a city like Balmora can cause problems. You see, every mod that makes landscaping changes to the same exterior cell conflicts with every other mod that makes landscaping changes to that cell, and in Balmora, the capital of all mods, that means you might be inadvertently conflicting with several hundred other mods. Not that you necessarily always want to avoid conflicts, but it's just something to keep in mind in the future if you want your mods to be compatible! Thanks for the endorsement and excellent suggestion for the lighting, it really is an improvement. 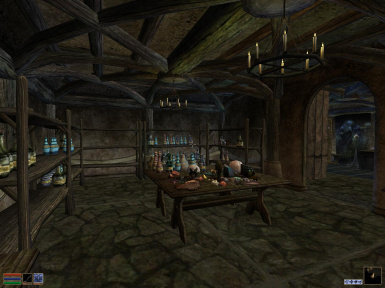 I did a house mod for Skyrim and spent hours tweaking the ambient lighting to get it just the way I wanted, strange I forgot all about it in this mod. I fixed the smoke also and added a few chests to the lab and storage room. 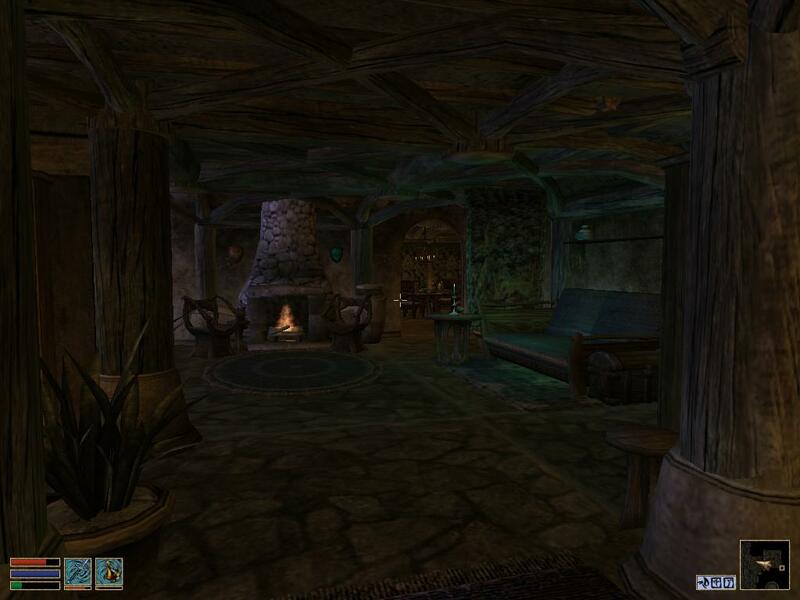 This is my first Morrowind mod and I tried my best not to change the landscape but had to do it around the house to hide some things and to make the entrance look good. The mod is mainly for myself so I was not worried about it conflicting with other mods but did my best not to change the original game. 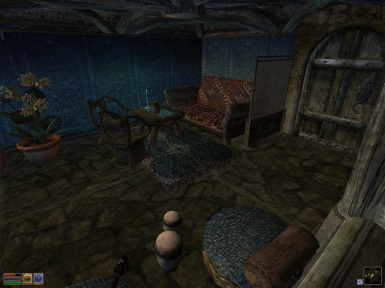 I did not find any mods it conflicted with except maybe Balmora Balconyhouse. Tried out the new version, the interior looks much better! Thanks for improving the lighting! As for the landscaping, like I said, you don't necessarily always want to avoid conflicts, and since this was a personal mod its not really a problem. That said, it would be best advised to be careful with the landscape editor in the future, sometimes you have to use it but other times I usually try to use terrain rocks to hide foundations in my own mods. 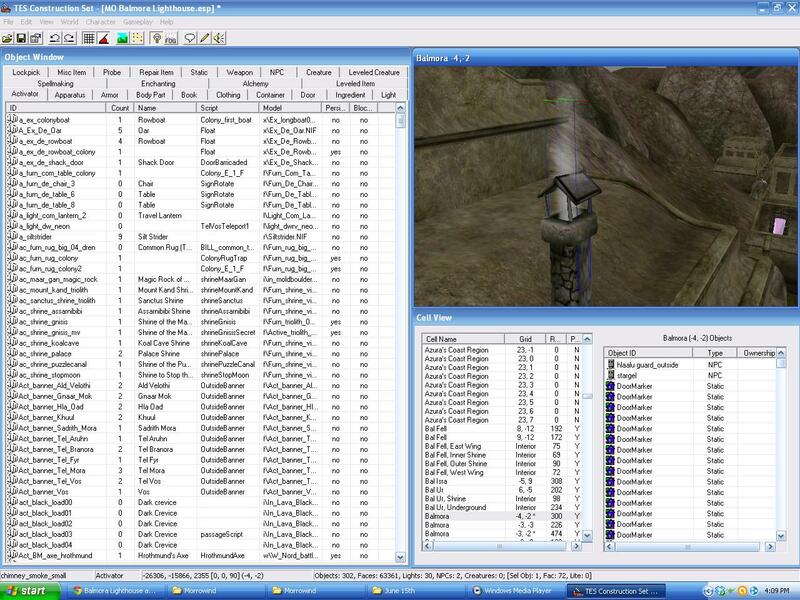 I'm more exposed to conflicts than most because I've been working on an online database of all Morrowind mods that covers all the various types of conflicts that can occur between mods. 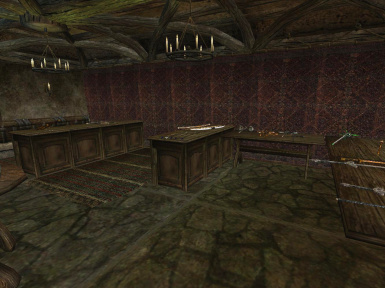 Given that there's around 19,000+ Morrowind mods, it's still a work-in-progress (tentatively scheduled for public beta once 2000 mods have been recorded), but I can say that from the 750+ mods recorded so far and the 200+ of those mods that have some presence in Balmora, I can confirm that your mod will conflict with about 80 of them just from the land alteration alone (granted, land alteration conflicts are the most common type of mod conflict). Not all mods need to be compatible with one another, but it's usually a good idea to avoid what conflicts you can, if you're looking to make a mod solely for public consumption in the future anyway. That is a lot of conflicting mods in Balmora and there seem to be more according to Morrowind Mod Grid Use Map (MMGUM) that I just looked at. Are the 80 mods you mentioned also in conflict with each other? You say that you use terrain rocks to hide foundations instead of the landscape editor to avoid conflicts with other mods. Is there a difference? I don´t understand. If mod1 adds a rock and mod2 adds a tree at the same place verses mod3 alters the landscape and mod2 adds a tree at the same place. In response to post #15812035. #15903590, #15913760, #15935815 are all replies on the same post. Aye, MMGUM is the most complete guide to finding potential mod conflicts at the moment, but it hasn't been updated since 2008 and only really includes mods from PES so it's missing around 5,000 mods or so, hence why I'm working on a more up-to-date database myself. And yes, those 80 mods are in conflict with each other (though some of them are part of a compilation called Balmora Expanded, so as part of that larger mod they can be compatible). Alright, I think I need to explain in more detail, since I think I've just confused you about landscape conflicts so far. 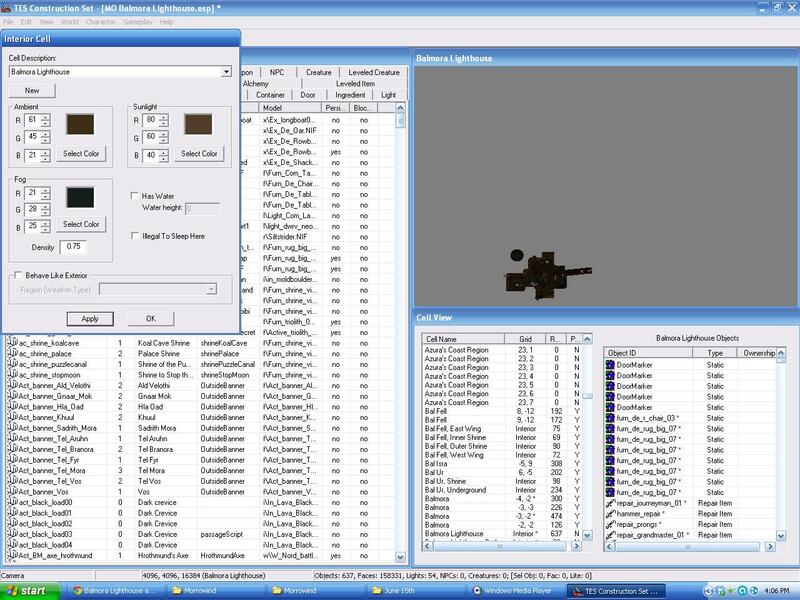 There are different types of conflicts possible between mods, and the landscape conflict occurs when two mods use the landscape editor in the same cell to either raise the land, depress the land, smooth vertexes in the land, use vertex shading, or apply ground textures to the land. No matter what, if a mod makes landscaping changes to an exterior cell via land alteration, it will conflict with every other mod that makes land alterations to that cell. 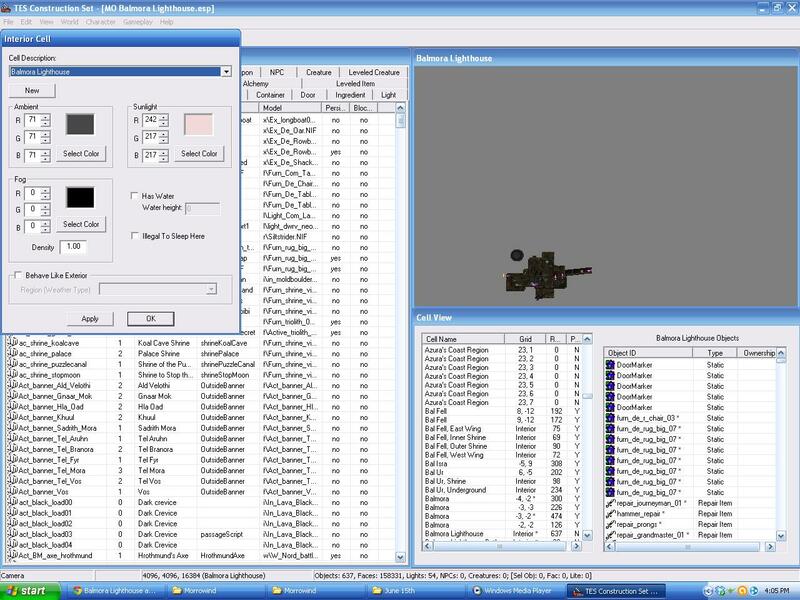 Basically what happens is that Morrowind overwrites the land alteration changes made by one of the two mods, and only keeps the changes from the other mod. As an example, say Mod A creates a hill in an exterior cell with a little house on top of it and Mod B uses ground textures to add a road through the same exterior cell. When loaded together (and assuming Mod B is the newer mod), the hill gets erased and the house made by Mod A is now just floating in the air while the road created with ground textures is kept. Hence this is a landscaping (or land alteration) conflict. 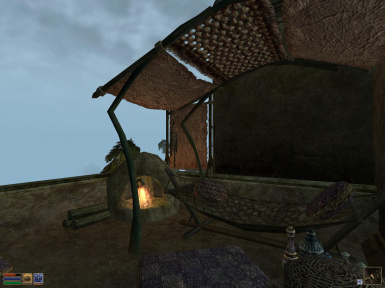 Occasionally Morrowind will try to keep the land alteration changes from both mods, and this results in a weird terrain tearing of the game world. You can see an example here where a landscape conflict occurs between Pluto's "The Sable Dragon" mod and Darktobi's "Shacky Manor". Now the example you give, where a mod places a rock in the same place as a tree from another mod is known as a physical conflict and occurs when two mods try to occupy the exact same space. This is a far less common conflict than the landscape conflict, because it's usually unlikely for any two mods to just happen to be in the exact same place (though there are a lot of physical conflicts in Balmora, because there's easily 1000 mods centered there), and you can usually avoid physical conflicts by using less-populated areas for your mod. Whereas a mod that changes the land alteration of a cell, even if it's on the furthest corner of that cell and doesn't touch the vast majority of that exterior cell, will still conflict with every other mod that does any land alteration on that exterior cell. Hence, land alteration causes guaranteed conflicts while using terrain rocks (which are static objects in the editor that start with "terrain_rock" and usually match the region they're in) will only conflict if another mod uses the exact same space (which if it's a small mod, won't be a very big space). I hope that helps explain things, I know that was a bit of a long-winded explanation, hopefully I haven't just confused things more. it should have been posted somewhere where I would have bumped into it before I started my mod. And the screenshots are very helpful. The Balmora Expanded mod is good so maybe I will redo my mod to fit in with it. You have quite a job ahead ............. good luck with the database. Looks very well put together. But I can't help but think the title is a bit misleading. 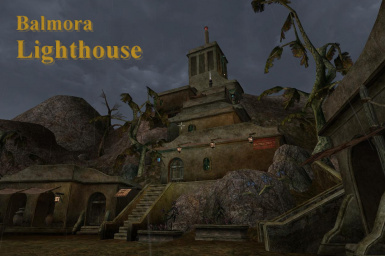 Why would Balmora need a lighthouse? It's inland. 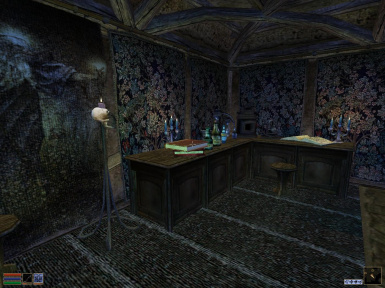 There lived a man in Balmora named Vincent Mugly on the east side of the river. He was a poor man and not very popular. So he left Balmora searching for a better life and was gone for many years. One day he came back with a huge amount of coins and built this house. At first it only had three floors which was more than enough for him and his new beautiful wife and newborn son. When the boy was about eight years old his mother was murdered on her way to Caldera and he swore that one day he would revenge her. Vincent his father tried to persuade him from revenge because he did not want to loose his son also. But when the boy was seventeen years old he got some unexpected news about his mothers killer and went looking for him but never came back. As the years passed Vincent became sad and lonely and in desperation built the Lighthouse on top of his house to guide his son back home. He took in a lone adventurer to keep him company and help find his son. Every so often the adventurer would go on an expedition to search for the son and usually came back empty handed. After one such trip he returned to find the old man had passed away, . . . but left him the house. Oh wow, that looks really nice.